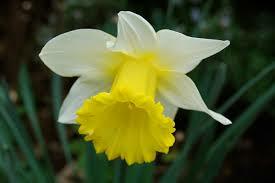 Daffodils are the harbinger of spring and when grown in subtropical climates they should perhaps be treated as a flowering annual. Having said that though, we can but try our best to still grow them here on the Coffs coast for more than one season by lifting them at the end of the season. Daffodils can be planted from April to May here in Coffs, with flowering from late July through to September (depending on the weather). To try and get more than one season out of our bulbs we need to lift them because if left in the soil during our hot, wet, humid summers they will 'steam' underground and be ruined. They enjoy a half sun to full sun position. If planting in the garden you have to make sure that the garden bed has adequate drainage, and if the soil is especially heavy, mix in some light organic material. Raised beds are perhaps best as they drain well. Plant deeper than you would in cooler areas, say around 20cm and mulch well. 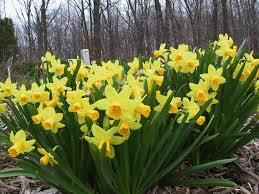 Daffodils look just stunning mass planted (both in the garden and in containers). If you are planting in containers use a specialist bulb potting mix and make sure the container is tall enough to plant the bulb at 15 cms (pointy end up). 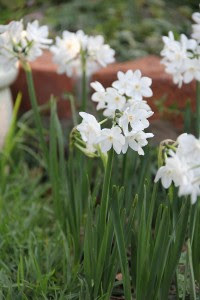 Allow the foliage to die back in the pot and lift the bulbs, dust off the soil and allow the bulb to dry off. 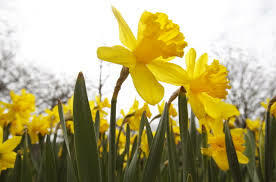 Inspect the bulbs for rot and insect damage and discard if there is any sign of damage. Store in a cool, dark and dry area with adequate airflow. They can be stored in paper bags that can then be hung up or on trays. Some people put their bulbs in the crisper section of the refrigerator for 6 weeks prior to replanting the following season.